Josh Rivera was a sophomore attending the Frederick Douglass Academy in New York City when I met him. 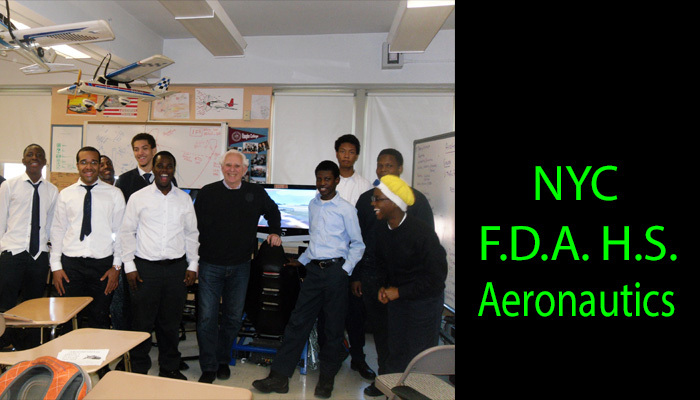 Josh was among a group of students very engaged in the Aeronautics program taught by Henry Rey. They practiced on our flight simulators and studied the physics, math and science needed to become accomplished pilots. Josh became a Rock Star in aeronautics and earned a full scholarship to Vaughn College of Aeronautics and Technology in Queens, NY. Over his four years, Josh has earned his FAA Private Pilot, Instrument Rating, Commercial Pilot, Certified Flight Instructor (CFI) and Certified Flight Instrument Instructor (CFII) certificates. 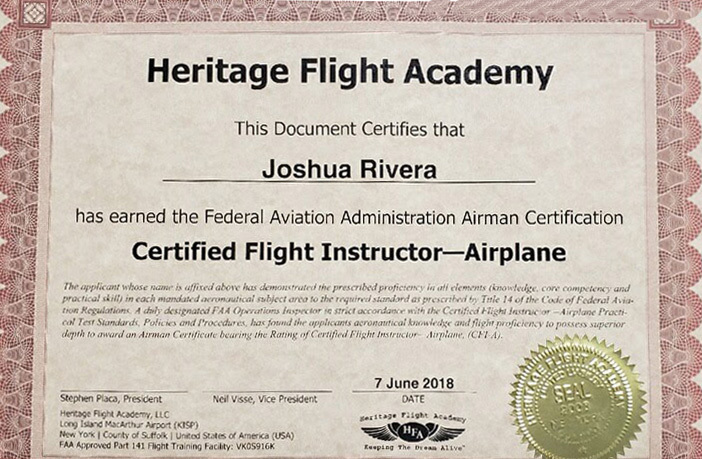 Now a graduate with Honors from Vaughn Josh is a simulator instructor at Vaughn and has accepted a position as flight instructor with The Academy of Aviation located at White Plains airport (KHPN). Josh’s next goal is to build flying hours necessary to enroll in the airline industry and becoming an Airline Transport Pilot (ATP). Not bad for a kid from Harlem and he’s not the only one.